In many countries, governments hold fuel supplies through state-owned companies, so customers have to "queue up" for their allotments, especially where fuel is in short supply. (Other countries with liberalized fuel policies will procure from suppliers such as Shell, Total and Petronas.) These monopolies invite briberies, kickbacks or gratuities to gain fuel supply privilege. Buyers in other countries that have more liberalized fuel supplies that preclude monopolies can be victims, of course, of bid rigging. 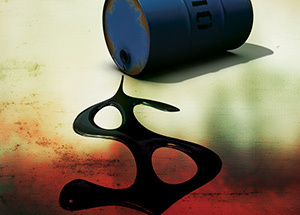 Regardless, fraud examiners need to set anti-fraud controls in fuel procurement operations. The risk begins early in fuel delivery and storage. Most won't see anything suspicious, but a truck driver might leave a small portion of fuel in his storage tank, which he can then sell quickly for his personal gain. Every day, truck drivers from an outsourced company get in line to pick up fuel from the operators of the main tanks and drive it to field tanks or directly pump the fuel into heavy-duty equipment. The main tanks receive fuel supplies from state-owned oil and gas companies. The field tanks and equipment can be at least 10 kilometers from the main tanks, which gives crooked truck drivers plenty of time to illegally unload fuel. A manager at a main tank facility will document a field tank operator's fuel request and the corresponding dispatch. He gives the request form to a truck driver who'll show it to a main tank operator. The operator will fill the tank on the truck and record a load of say, 10,000 liters of fuel — the maximum capacity — on the dispatch form. The truck driver delivers the fuel to the field tank operator who then signs the dispatch form. The bookkeeper for the business that owns the field tank posts the usage as 10,000 liters in the fuel stock records.